Wow! Beautiful, quality table. Legs are not shiny gold, more of a muted brushed gold. A beautifully flared double pedestal and molded edge tabletop create a sophisticated dining table with traditional formality and contemporary style. The gold finished pedestal contrasts brilliantly against the rich espresso wood frame for a true show-stopping look. Dimensions 106.0 In. X 45.5 In. X 30.0 In. When we started putting the legs and the base together on this table the base did not match up with the holds on the base. Hopefully overstock will get this fixed soon! Overstock did this issue resolved. I absolutely LOVE my new table. Best customer service ever! Thanks Overstock. 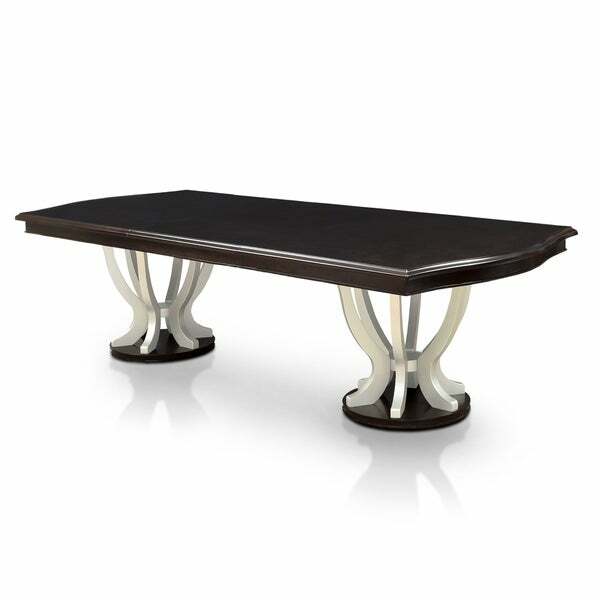 This table is gorgeous and luxurious. I chose this one with the golden bottom for a dramatic look. Its the perfect gold. It is not bright or tacky. Its beautiful. Only complaint is that it came with some scratches on the sides. 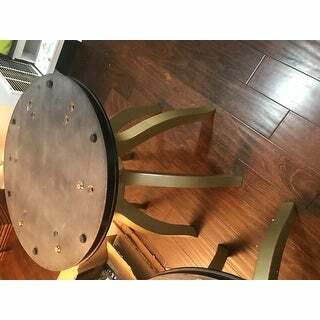 My first table arrived damaged but Overstock rushed another one to me in no time at all. We like the table a lot. The table is also very heavy and sturdy. Beautiful heavy wood table. Husband put together by himself in about 4 hrs. Very good product, made in the best quality and beautiful design. I wish the manufacturers good luck in promoting your favorite business! Thank. It looks amazing! Awesome quality, easy to put together. 100% recommend! Beautiful table!!! Very large, though. Make sure you measure properly. "Is this available in a silver finish base? The buffet table has a silver finish and the chairs shown with the table have silver nail head accents on them." The base is not available in silver. There is only one color option. Please note that item may appear different in different images due to the studio lighting. "What color is the base? The details state Gold but the specs state Silver." The base features a gold finish. "Where is the leaf stored? 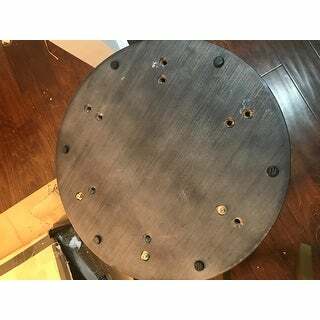 What is the material of the table?" The leaf is packaged together with the tabletop upon delivery. The leaf is constructed of wood veneer. "Is the top of this table scratch resistant? " The tabletop has durable wood construction, but is not fully scratch resistant.